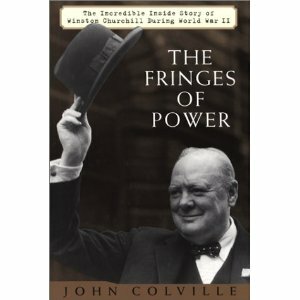 I have read that Churchill told his pri­vate sec­re­tary, Jock Colville, in Novem­ber 1951 that his new government’s pri­or­i­ties were ‘hous­es, red meat and not get­ting scup­pered.’ But I can’t find this in Colville’s Fringes of Pow­er. Any thoughts? Won­der­ful quote, quite appro­pri­ate in an elec­tion sea­son, wish it were in my book. The date was May 1952 not Novem­ber 1951.